The Warriors of Warrington Swimming Club (WOWSC) will only use your personal data for the purpose of your involvement in the club and will never pass this information on to 3rd parties with the exception of Swim England (please read Appendix C of Data Protection Booklet for ASA Clubs). By submitting your information on the WOWSC on-line registration system and becoming a member of the WOWSC you are consenting to receiving information primarily by email but also when necessary by phone, text or letter, concerning the club’s activities including; meet information, membership and training fees, training issues and contact from WOWSC committee members and head coach. This list is not exhaustive. Each member has full access to their personal data via the WOWSC Swim Portal. 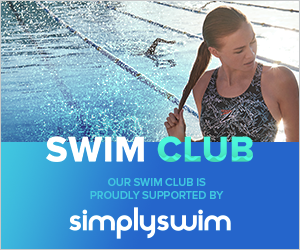 This information on the swimmer’s personal details, medical issues, parent(s)/legal guardian(s) and emergency contact(s) is deemed not be excessive but what is required by Swim England for the swimmer to participate in the sport. It is responsibility of each member to keep their personal data up-to-date by amending it via the WOWSC Swim Portal and informing the membership secretary at membership@swimwarriors.org.uk. If any parent, legal guardian or swimmer over 18 years old requests access to their personal data they will be directed to the WOWSC Swim Portal. Warriors of Warrington Swimming Club adheres to the principles of data protection for swimming clubs as outlined in the document Data Protection Booklet for ASA Clubs. WOWSC are currently working towards compliance with the new General Data protection Regulation (GDPR) which came into force in May 2018. Click on the link below to view our privicy notice.